4From Mount Hor they set out by the way to the Red Sea, to go around the land of Edom; but the people became impatient on the way. 5The people spoke against God and against Moses, “Why have you brought us up out of Egypt to die in the wilderness? For there is no food and no water, and we detest this miserable food.”6Then the LORD sent poisonous serpents among the people, and they bit the people, so that many Israelites died. 7The people came to Moses and said, “We have sinned by speaking against the LORD and against you; pray to the LORD to take away the serpents from us.” So Moses prayed for the people. 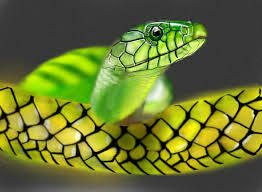 8And the LORD said to Moses, “Make a poisonous serpent, and set it on a pole; and everyone who is bitten shall look at it and live.” 9So Moses made a serpent of bronze, and put it upon a pole; and whenever a serpent bit someone, that person would look at the serpent of bronze and live. 14“And just as Moses lifted up the serpent in the wilderness, so must the Son of Man be lifted up, 15that whoever believes in him may have eternal life. The first church we visited was the second kind. It was an old, established rural church that was essentially run by three major families, and they were pretty much down to the three major families. Before our meeting with the church I asked a friend to do some reconnaissance and visit the congregation, undercover. None of the church members knew we had asked him to visit. He reported it was the most unpleasant church experience in his life. The first thing that happened to him was that he was overwhelmed with attention. “A VISITOR!” People were all over him before he could get to his seat. But it was not the kind of attention might get when people care about you. It was the kind of attention you might get from someone who was ready to consume you. He said he felt like Hansel and Gretel in the witch’s kitchen. Then it turned ugly. One of the members was talking to him, when another member came up and realized that the first member was being a bit too pushy, and right there, in front of God and everyone, attacked that person for being too pushy. Then someone went after the person who had attacked the first member for attacking them. He thought a fistfight might break out before the service even started. Needless to say my friend was in no way interested in staying for coffee after the service, and took off during the last hymn. When we met with the church later that week, the whole meeting was about the visitor, and how badly all the other people had treated them. As soon as we started our meeting, I starting feeling really anxious. This was a church that was affected with anxiety, and it was contagious. No one took responsibility for their actions; they just wanted to talk about how everyone else had driven the visitor away. Later I realized what was going on with that congregation. They were so driven by their anxiety and fear that they could not act like decent church members. Attacking others had become the norm there, because no one could face up to the problems they had with any sense of reality. During that meeting I was reminded of the story of the serpents in Numbers, because I felt like I had stumbled into a den of serpents! They grumbled. They murmured. They moaned and complained, and bellyached. Well usually when a group of people bellyache, the results are not good, but in this case they were disastrous. In other words, when you have a group of people, and all they can do is moan and complain, it is as if a horde of serpents have attacked. Now I am not going to dwell on this part of the story, because, well, this is not our story here at First Church. We don’t have a lot of bellyachers in this congregation, and that is a blessing. But that is not to say that there are not serpents out there. Maybe our serpents didn’t come from bellyaching, but there are serpents. It’s not all sugar and spice out there. And sometimes the serpents around us can make us act in ways that are not healthy. What are the serpents in our lives? We can start with the obvious. Death is the biggie. To think there will be a time when we are not is an unpleasant thought at best. It can be a great fear. But there are other serpents out there. Loss of control. You know why it bothers you that you have to get a ten year old to show you how to use your phone? Because it shows we have lost some control over our world. As we get older, we find there are less things we can do and feel like we are losing control of our lives. Driving, physical activities, and probably many of us fear that day when we will end up in a hospital bed, being taken care of by others. Change can be a major serpent. The world is changing. Last Saturday Angelee and I went to Best Buy to look at some stuff. I headed over to the CDs, and I have to tell you, it was a depressing experience. For most of my life, one of my favorite things was going to a record store, and flipping through the albums. That was back when albums had real album covers! I would look for new releases by bands I liked, or maybe I would find an older LP they did. Or I would find something totally new. Well albums gave way to CDs, and I made that change ok, but now everybody buys their music online. I thought I might flip through the CDs at Best Buy but they hardly had any at all. I realized my world had changed, and one of my favorite activities for most of my life had disappeared. The world is changing. Some people are dealing with it fairly well, while others are having a very hard time with it. The more things do change, the more some people will fight to keep the same. But that is a losing battle. Another serpent is Intimacy—we fear that people will get to know the real us, and that they won’t like what they see. We fear people will get so know things about us that we don’t want anyone else to know, so we hide a great deal of ourselves from others. Or worse yet, we hide those parts from ourselves. We don’t even admit to ourselves who we really are, what our flaws are. There are plenty of other serpents out there. Poverty. Loneliness. Illness. Losing someone or something we love. For some people retirement is a serpent. Children leaving the nest is a serpent for some people. Some people fear whatever the other political party is. Others fear different religions. Or anything different for that matter. Oh there are all kinds of snakes out there. The children of God, in the desert, were up to their eyeballs in snakes. So are we, but they are serpents of a different sort. So what is the solution? We have the disease. What is the cure? Now, here is where the story gets really interesting. The cure for serpents was….looking at a serpent. They were told to put a bronze serpent on a pole, and if they looked up to that, they would not succumb to the venomous bites. In other words, the thing they feared the most was exactly the thing they needed to gaze upon. That may not make sense, but think about it—the things you feel the most are the very things that will end up controlling your life if you are not careful. Your fears will control your life, often in ways you are not even aware of. Someone, for instance, who is afraid of being alone may be so anxious when they finally get into a relationship that they end up sabotaging it. And they end up alone. Or they get want a relationship in the worst kind of way, and so they end up in the worst kind of relationship. The church I referred to was so afraid of dying that they were almost guaranteeing their own death. The more you fear something, the more power you give it over yourself. If you really fear death, you may be so busy avoiding death that you never get a chance to live. If you fear change, you may become so entrenched in what was that you can never enjoy what is. We might cling so hard to our sense of control that we lose sight of the things that are in our control. We are so afraid of others getting to know the worst things about us that we never let them see the best things about us. And the way we keep from letting our fears control us is to look them in the eyes. We put that serpent up on a pole, and we stare at it until we realize the real thing has no power over us. If it is true that our fears can be the thing that control our lives, in the same way the very things we fear can be what saves us. The thing that threatens to undo us is in fact the very thing that brings us real and true life. Whatever we fear can become our agenda for growth. Our serpents can be our salvation. We just need to bring them into the light of day. That is where the Gospel lesson comes in. But what about the verses that come just before it? The serpent in the desert becomes the sign of our salvation. Then Jesus goes on to talk about the difference between light and darkness. The darkness can hide all manner of evil, but it also magnifies it, and changes good into evil. When I was in fourth grade I took a paper route. I had to deliver 125 morning papers and around 100 afternoon papers. The morning papers had be delivered by 6:30 on weekdays, 7:00 on weekends. That meant I had to get up and start by 4:30. In. The. Morning. The first morning was pretty scary. As I was riding my bike in the darkness around the neighborhood I saw what looked like all manner of scary things. Here was a huge dog, lying in wait for me. There was some kind of creature I had never seen before. Was that a person following me? And what was that thing in the shadows around the house that lay all by itself at the very end of a deserted road? But in the afternoon it had all changed in the light of day. The huge dog was just a bush. The strange creature was a dogwood tree. The person following me was my shadow in the streetlight. The thing in the shadows was a tractor. In the light of day it all looked so different. If we are willing to let what we fear come into the light, we can overcome our fears. Whatever we fear becomes our agenda for growth. It is natural to keep what we fear in the shadows. If our bank account may be overdrawn, we don’t want to look at the bank statement. If we are having problems in our relationships, we don’t keep looking at pictures of the person with whom we are fighting. If our marriage is in a rocky place, we don’t want to see a romantic movie. If we are afraid of losing our job, we might shudder at the sight of help wanted ads. We want to keep the things that we fear in the shadows. But that only makes them look that much scarier. If we can look what we fear right between the eyes, then it no longer has any power over us. I remember many years ago, wanting to quit my nice job at the bank, and I wanted to go to seminary. My plans at the time were to get my Master’s of Divinity, then a Ph.D, and eventually teach theology at a seminary or college. But I was afraid. I was afraid to quit my comfortable job, I was afraid I might not get into seminary, I was afraid I might not find a job. I was afraid that I might start the process, and not be able to finish it. A wise person sat me down as asked, “What is the worst that can happen?” At the time I thought the worst thing that could happen was that I would finish my master’s but not be able to get my Ph.D. If that happened, then I would be able to teach. I would have to become a pastor, and to be honest, I was pretty sure I did not want to do that. Well, for various reasons, that is exactly what happened to me. But guess what. That was not the worst thing that could happen. As it turned out, that was the best thing that could happen. Of course it is not always like that. Sometimes the worst thing that can happen is indeed the worst that could happen. But if we can look even death in the eye, if we can truly walk through the valley of the shadow of death and fear no evil, then we can know what it is like to truly live. What are you afraid of? Can you look it in the eye? Can you put it on a pole, and stare at it?